The ferny new growth on this Astilbe is red in spring, slowly turning green as the season progresses. 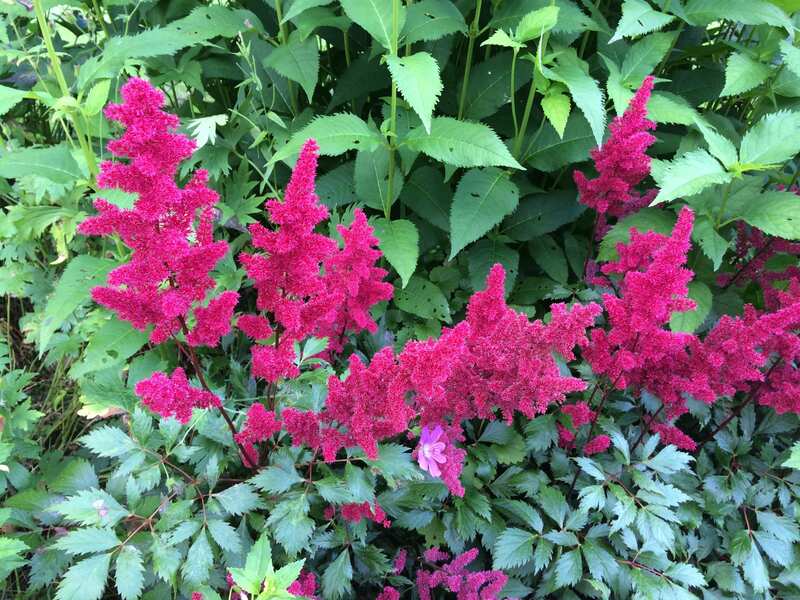 The flowers are deep red, in panicles, held well clear of the foliage. It makes a bold clump when grown in damp soil and is an excellent waterside plant. Organically grown in peat free compost. A good pollinator plant.